Tamir Kalifa/ReuteresPolice maintain a cordon near the site of an incident reported as an explosion in southwest Austin, Texas, March 18, 2018. 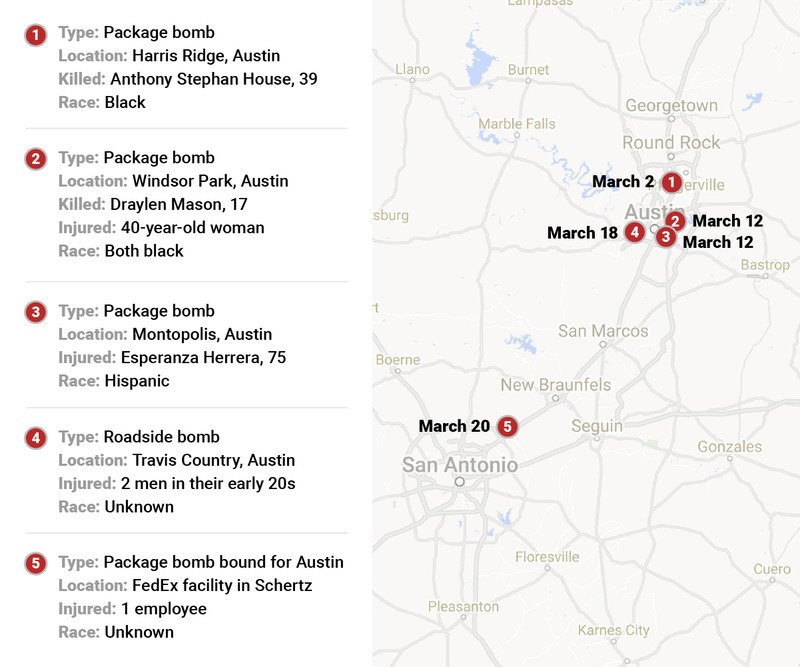 A serial bomber suspected of targeting neighbourhoods around Austin, Texas, has died, officials confirmed on Wednesday morning. House’s death was initially deemed “suspicious.” It was later classified as a homicide. March 12: Following the third explosion, Gov. Greg Abbot offers a $US15,000 reward for information leading to the arrest of those responsible for the bombings. The Austin Police Department adds an additional $US50,000 reward. Drew Anthony Smith/Getty ImagesTexas Gov. 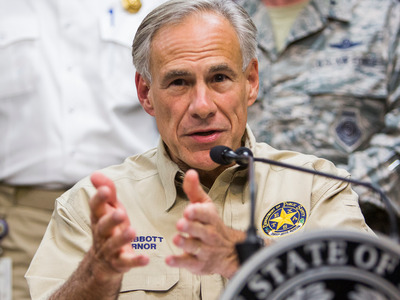 Greg Abbott delivers a briefing in Austin, Texas on September 1, 2017 . Six days later, the Austin Police Department raised their reward to a combined total of $US115,000. 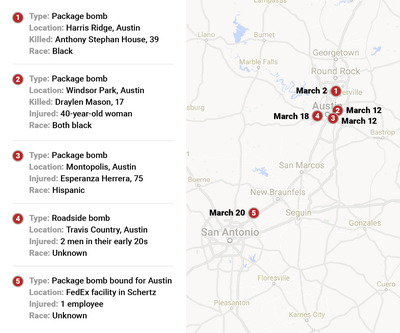 March 15: Police considered the possibility that the bombings may be motivated by hate because all of the victims at the time were people of colour. 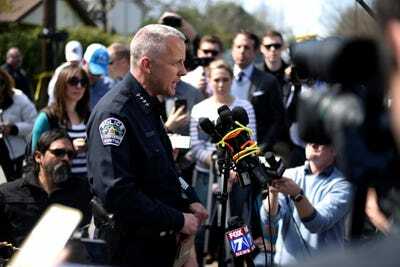 Sergio Flores/ReuteresAustin police chief Brian Manley speaks during a news conference near the scene where a woman was injured in a package bomb explosion in Austin, Texas, March 12, 2018. “We cannot rule out hate, but we’re not saying it’s hate,” Austin Police Chief Brian Manley said. 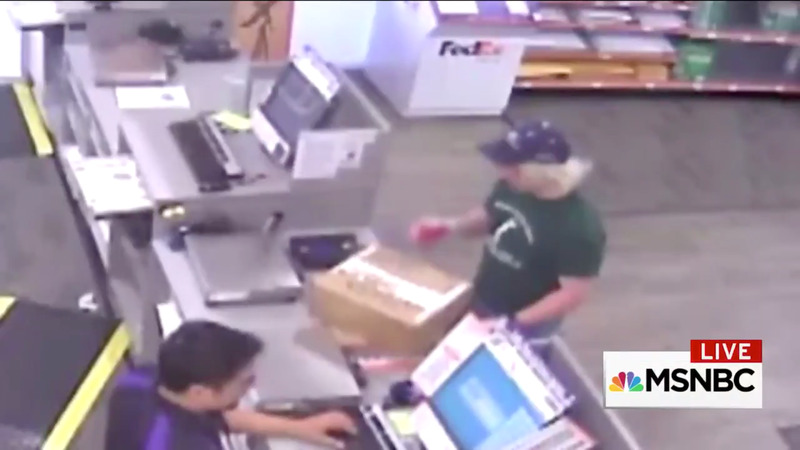 Austin Police Chief, Brian Manley, said in a media briefing that because the device was rigged with a trip wire, they believe the bombing suspect has “a higher level of sophistication” and skill than they initially expected. March 21, 2:46 a.m.: Austin police say they are “working an Officer Involved Shooting” in an area north of Austin. BREAKING: Sources say the suspect killed himself using an explosive device. 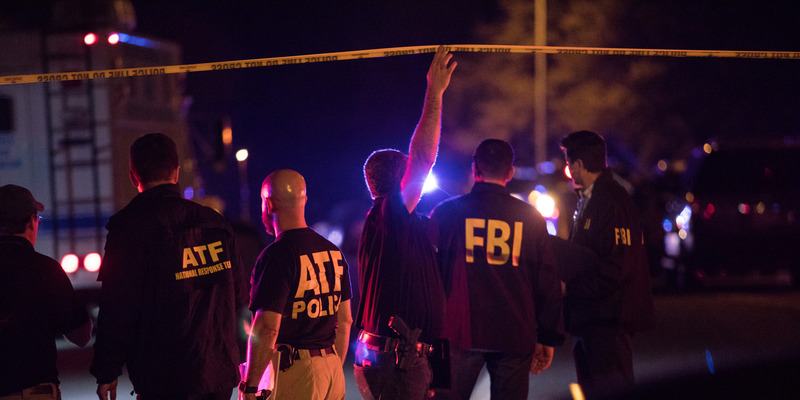 March 21, 4:15 p.m: FBI and ATF agents discover homemade explosives and bomb components at Conditt’s home. People living within a five-block perimeter of the home are told to evacuate. March 21, 6:11 p.m: Officials announce that they have found a 25-minute recording of Conditt confessing to the bombings. The recording was found on Conditt’s phone.